Sauté onions and garlic in oil over medium heat until soft. Place liquids, vegetables (except zucchini) and spices in crockpot. Cook for 4 hours on high, or 8 hours on low. 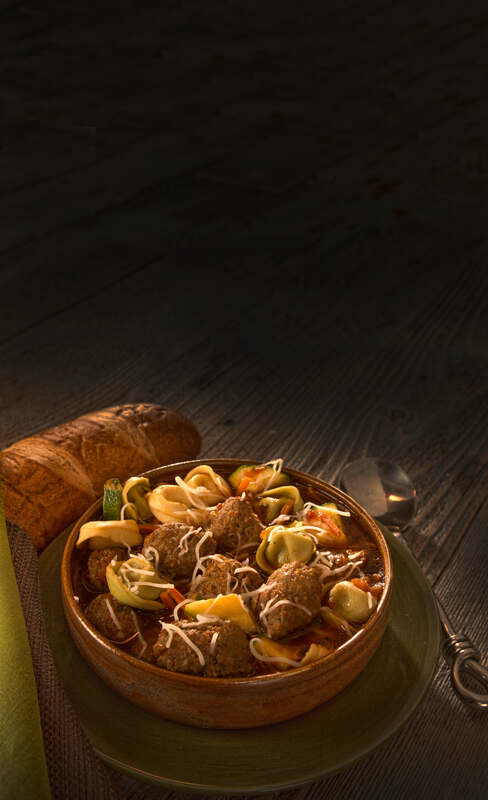 Add No Name® Meatballs before serving (30 min. before if frozen; 20 min. before if thawed). Add zucchini and tortellini 15 min before serving or until tender. Ladle into bowls, sprinkle with cheese, serve and enjoy!